Garrett A. Eastmond, 81, a lifelong resident of Union Beach, NJ before moving to Keyport, NJ several years ago. 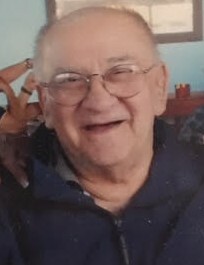 He peacefully passed away Friday February 8, 2019 at home, surrounded by his loving family. Garrett was known as a caring, loving, family oriented man. He loved people, especially his children. Garrett also enjoyed watching NASCAR. Garrett was predeceased by his parents: Albert A. Eastmond and Dorothy M. (Arose) Eastmond, and his brothers: Thomas Eastmond Sr, and Frank Eastmond Sr. Garrett is survived by his daughter; Paula Jean Eastmond-Cunningham and her husband Joel of Keyport, NJ; Beverly Joy Ruhman and her husband William of Spotswood, NJ; his siblings: Alice of Keyport, NJ; Hugh and Donald Eastmond of Hazlet, NJ and Albert (George) Eastmond of Keyport, NJ. Garrett will be dearly missed, and always in our hearts.